Former Gov. 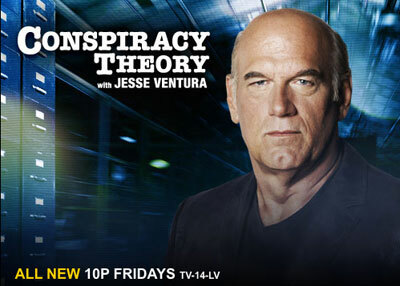 Jesse Ventura and his crew at Conspiracy Theory  have blown the FEMA camp issue wide open in a truly groundbreaking episode from the program’s second season on TruTV. The “Police State” episode proves once and for all that the feds have trained to take on American citizens, planned for riots and disasters and made preparations to maintain order at any cost. Tune in this Friday, Nov. 12 at 10 PM Eastern/ 9 PM Central and leave the denial at the door. At one of many real and verified FEMA locations, Jesse Ventura and Alex Jones approach a “Residential Center” run by Homeland Security in central Texas where they find locked doors, double-fences and escape warnings around the entire perimeter. Further inside the facility, they witness a playground complex, swings and slides for children. The crew walks up to the front door and attempts to get some answers. But the officials refuse to either confirm or deny the facility’s purpose, including whether or not American citizens are being held inside. However, our past investigations into this facility  reveal that it has confined both children and adults , including immigrants, refugee seekers and American citizens. Despite hundreds of government documents identifying emergency and contingency plans, including plans to deal with mass fatalities , insurrection , internment  and quarantines , Ventura and his team repeatedly encounter outrageous denial and avoidance by officials at every level. The mainstream media have avoided and downplayed these on-the-record plans for FEMA Camps and Homeland Security Emergency Facilities for years. Clearly, it is not meant to be a public relations talking point, and it is no surprise that members of Congress, including those who wrote the bill to create FEMA camps in America, are reluctant to discuss the matter. So, Jesse Ventura, former Mayor and Governor, descends upon Washington to confront two important figures behind H.R. 645, the National Emergency Centers Establishment Act . Despite going through official channels, Ventura finds that Jim Gerlach (P-Pennsylvania)  repeatedly “ducks” TV cameras and refuses to answer questions about H.R. 645 . Another Congressman who co-sponsored the bill starkly admits that FEMA camps exist, but rationalizes that they were put in place to deal with “happy children.” This bizarre admission is another confirmation that Congress and the leadership in Washington are out of touch with the oppressive measures that have been authorized against the American people. Later, Ventura and Jones visit the Deep South and discover what appears to be an active cover-up to keep them from the truth. Outside the Atlanta, Georgia area is another confirmed location in FEMA’s disaster preparation network. They pay a visit to a facility storing thousands of plastic coffins where video has already confirmed  the coffins in large numbers. Ventura and Jones discover upon arrival that a convoy of trucks has just left hauling away the evidence– thousands and thousands of liners the facility wanted to keep out of the way of cameras and public knowledge. Various plastic coffin locations affiliated with FEMA, as well as plans for mass graves  and large-scale fatalities , have been previously exposed  and reported upon – including photographs sent by an Infowars listener of an Alabama facility in 2009  with thousands and thousands of plastic coffin liners. Why then would the officials in Georgia engage in such a desperate and hurried cover-up? Further, the plans are already confirmed. DMORT  and other divisions of Homeland Security  have a contingency-structure in place to deal with mass fatalities and outbreaks  in times of pandemics, natural disasters, terrorist attacks, national emergency or other disasters. 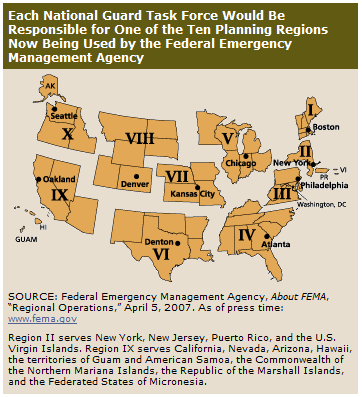 Elements of these plans are in place on record, and coordinated via the 10 FEMA regions  in the United States and via the “Fusion Centers”  that are popping up at the Federal, State and Local levels all across the nation to spy on ordinary citizens. Aaron Dykes is frequent writer for Infowars.com and webmaster for JonesReport.com. He is also a videographer, researcher and editor who has worked on numerous documentaries and video reports.